Are there some things that science just can’t explain? When asked to explain time, Einstein famously remarked ‘Time is what clocks measure’. In other words, time is a primal, fundamental aspect of the universe which is not explainable in terms of anything else. If you try to explain time you end up with a circular definition. There are other primal aspects of the universe, for example, space, energy and charge, which are irreducible and not explainable in terms of any other phenomena. So is mind one of these fundamental, irreducible aspects of reality? Is there any scientific explanation for the mind? What distinguishes Buddhists from materialists is that Buddhists believe that the mind is a primal aspect of existence, which is not explainable in terms of physics. The mind is not mechanistic or deterministic and has no scientific explanation. Let’s illustrate this with two examples. 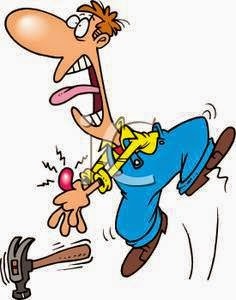 (1) When you hit your thumb with a hammer, nerve impulses are generated which are transmitted to the brain. (2) When you hit your thumb with a hammer, nerve impulses are generated which are transmitted to the brain, and you feel pain. The first statement is a purely mechanistic explanation of what happens. The mechanical damage to the tissue, the chemical changes resulting from the compression and the electro-chemical transmission of the nerve impulses into the brain are all mechanistic processes, which can be modelled as a chain of physical causes and effects, by for example, a computer simulation. The second statement has something extra - the result is a subjective feeling, an aspect of the mind, for which there is no mechanistic (scientific) explanation. It seems to be impossible to envisage any mechanism which can produce a mental state from any physical configuration of neural states. The chain of cause and effect stops just short of its final link. This is known by philosophers as 'The Hard Problem' or explanatory gap. The Buddhist would say that there is indeed no physical causal mechanism beyond the configuration of neural states. Everything that happens thereafter to complete the experience, flows in the reverse direction, and comes from the side of the mind. The mind is drawn to the neural correlate of pain and recognises it as an object of aversion. In other words the mind develops ‘intentionality’ towards the brain state, and this intentionality, along with the actual subjective feeling of pain, does not have a scientific explanation. But surely everything has a scientific explanation? To say that mental phenomena exist that have no scientific explanation may seem provocative, possible almost heretical to some materialists. Yet there is strong evidence, from the very nature of science, that this is indeed the case. If we a have clear-cut definition of what constitutes a scientific explanation, then we will be able to see its limits. That clear-cut definition exists in the form of the Church-Turing-Deutsch principle, which states that every physical process can be simulated by a Turing machine. Since all chemical, biochemical and biological processes are ultimately physical, according to the CTD principle they can all be simulated by a Turing machine. Any phenomenon that cannot be simulated by a Turing machine must therefore be non-physical. The Turing machine is not necessarily an actual machine or even a physical device (although physical demonstrations have been constructed) . Its primary purpose is as a thought-experiment, or a precisely defined simple mathematical object, whose precision and simplicity produce a rigorous definition of the fundamental behavior of all mechanistic systems and mathematical procedures. In practice, a large unwieldy Turing machine may implemented as a series of small separate Turing machines (a process known as algorithmic decomposition) which may consist of mathematical formulae such a Newton’s laws of motion, or conditional statements such as IF … THEN … ELSE . The computer language conditional statement IF … THEN … ELSE is equivalent to the conjunction ‘because’ in normal explanatory discourse. To put that in a more Turing-machine compatible form we might say. 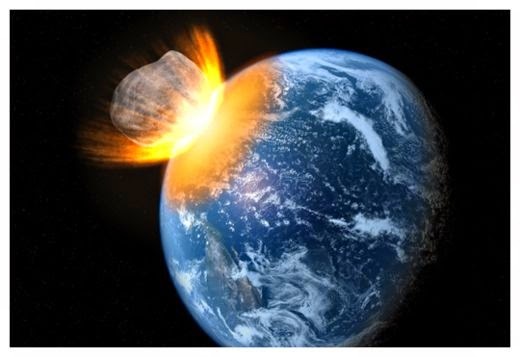 We could make this explanation more detailed and accurate by replacing ‘asteroid collides with earth’ by various equations describing the orbits of the asteroid and the earth. The whole thing would probably fit on the back of an envelope. All the statements and equations on the envelope are reducible to a chain or network of Turing machines. The next step, especially if we wanted an explanation of what would happen if we tried to alter the course of the asteroid (nuke it, or zap it with a laser, or spray it with WD40) would be to set up a computer simulation. The conditional combination of COMPARE, JUMP, JUMP-CONDITIONALLY form the IF … THEN … ELSE statements of higher level language. So why is it that we can never simulate the mind using a computer, (or even the back of an envelope)? The problem lies with the fundamental intrinsic limitations of the Turing machine, which affects every simulation and explanation built out of Turing machines, including all physical explanations and hence all other scientific explanations. If we return to the experience of pain caused by hitting the thumb with a hammer, we see that there are two mental processes, intentionality and qualitative experience, which the Turing machine is incapable of simulating, as a result of its structural limitations. (i) A tape of characters, which may be limited to just 1’s and 0’s. (ii) A table of actions, which instructs the machine what to do with each character. (iv) A register that holds the numeric identifier for the machine’s current state. The tape consists of a string of characters drawn from a defined alphabet, where the term ‘alphabet’ is used in a rather technical sense of a restricted set of characters, such as the 26 characters of the Latin alphabet, the 33 characters of Russian alphabet, the four characters of the DNA alphabet, or the two characters of the binary alphabet. The size of the alphabet makes no difference to the capabilities of the Turing Machine, since all characters are capable of being encoded as binary. 1 The row's machine state identifier to be tested against the actual machine state. 2 The row's character to be tested against the current character as read from the tape. 4 The new character to be written to the tape. 5 An instruction to move the head one character right or left along the tape. So there is no capability whatsover to make any intentional reference about anything outside the system. Neither is there any ability to hold any internal qualitative state. The only internal state it can have is the number in its register. Even if additional registers were added, they could only contain ‘alphabetic’ characters or state numbers, for there is nothing else in the machine and nothing else can get into the machine. So to expect a Turing machine, or any narrative based upon Turing machines to be able to explain such basic mental processes as qualia and 'aboutness' is a category error. And, according to the Church-Turing-Deutsch principle, all physical narratives must inevitably be isomorphic (functionally identical) with Turing machines. Hence we can conclude that there are basic mental processes which are, by the very definition of what is physical, forever outside the scope of physics. "When we are investigating a physical system, physics tries to answer three kinds of question – composition, arrangement and behaviour. In other words, what is it made of, how are the parts put together and what laws of nature are operating? The answers provide a “physical explanation” of the system and its properties, and in this way physics achieves much insight into the world around us. In fact, there are those who claim that everything reduces to physics. But there are areas where physics cannot give answers, one such being metaphysics: questions about physics. More importantly, physics cannot deal with our conscious mental nature and our nature as human persons. The nature of consciousness is beyond the methodology and conceptual apparatus of physics, which confines itself to objective, universal facts, whereas my conscious awareness is associated just with me. Cleverer physical theories are of no avail here – physics has a limited remit and is not set up to address what it really means to be human. Procrustean philosophies that try to cut humanity down to fit into a bed of physics are a dangerous illusion and should be shunned. They are true neither to humanity nor to physics." When we seek to bridge the gap from the brain to the mind, we inevitably reach a point where the methods of investigation pursued by mechanistic science are exhausted, and 'physical' understanding comes to an end. Logical continuity disappears, and we are left to meditate on mysterianism, and develop an intuitive understanding of the creative clarity and emptiness of the non-physical mind.